Use these four cost benchmarks to make financial adjustments to your cow-calf enterprise. Last week, we met with our ag lender to close out a line of credit we had opened at the end of 2016 to expand our seedstock herd while prices were low. While signing the paperwork, we visited about how long he anticipated commodity markets to stay at current levels and his predictions for the next couple of years. I can't say he sounded optimistic, but we know that agriculturalists are a resilient group and will weather through the lows until things bounce back once again. What separates the men from the boys, if you will, is not only how operations handle the good times, but also the adjustments they make when prices are in the dumps. Randy Saner, University of Nebraska-Lincoln (UNL) Extension educator, recently wrote an article for UNL’s BeefWatch newsletter, with suggestions for benchmarking your herd. READ: How do you define profit? Then, how do you achieve it? In its simplest form, profit is the total revenue minus total costs, and Saner identified four costs that producers can somewhat control in order to improve profitability. Comparing your costs to other producers can help you determine where you might be overspending and where you should consider investing more. The largest cost for cow-calf producers, here’s a look at 34 farms and what they spent on feed in 2015. Click here for a rundown of these direct expenses. Cost compare these miscellaneous costs by clicking here. 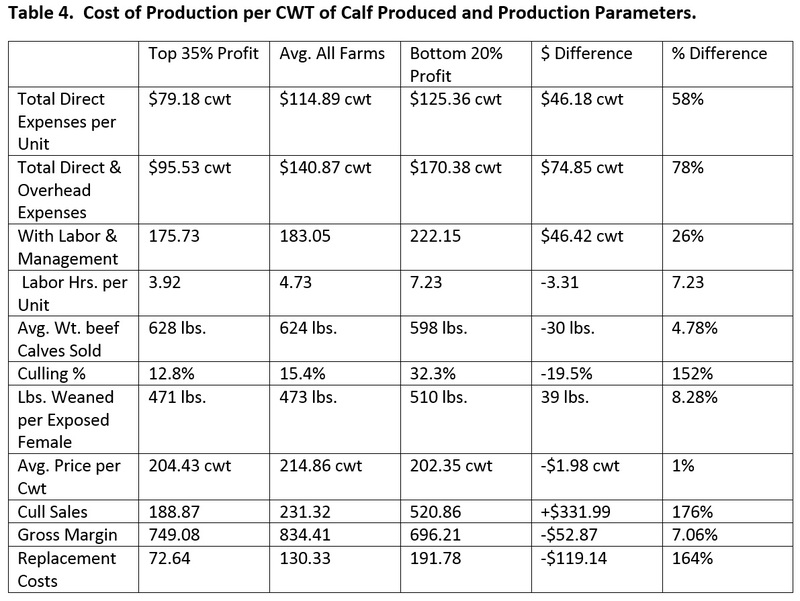 Compare the costs of production within the parameters of different profitability groups by clicking here. We all know that keeping up with the Jones’ is a good way to get ourselves into trouble financially, but by using these real producer costs as a benchmark, we can possibly find areas of improvement in our own business enterprises.